Israel’s police recommended charging Prime Minister Benjamin Netanyahu with bribery on Monday. Netanyahu responded on Tuesday, and did not overtly deny receiving gifts from business leaders. The police recommendation detailed two cases, dubbed Case 1000 and Case 2000, detailing allegations of bribery as well as luxury gifts including cigars, champagne and jewellery. Despite the allegations, Netanyahu said “nothing will sway” him to step down, and remains confident he will not face charges. Prime Minister Benjamin Netanyahu responded to Israeli police’s recommendation to indict him on several counts of bribery, fraud, and breach of trust on Tuesday. The Prime Minister instead focused on how the 18-month police investigation, which recommended the Attorney General indict Netanyahu on two charges of bribery on Monday, was just an effort to “remove” him from power. “The authorities will not accept half of the police’s recommendations, and they will lead to nothing,” said Netanyahu, who also said “nothing will sway” him to resign. Police separated allegations against Netanyahu, who has been Prime Minister since 2009, into two cases. The report concluded that police have allegedly found “sufficient evidence to substantiate” claims of bribe, fraud and breach of trust against Netanyahu. Chip Somodevilla/Getty ImagesAustralian billionaire James Packer (left) and Hollywood movie tycoon Arnon Milchan listen to Israel’s Prime Minister Benjamin Netanyahu address a joint meeting of the United States Congress at the US Capitol March 3, 2015 in Washington, DC. 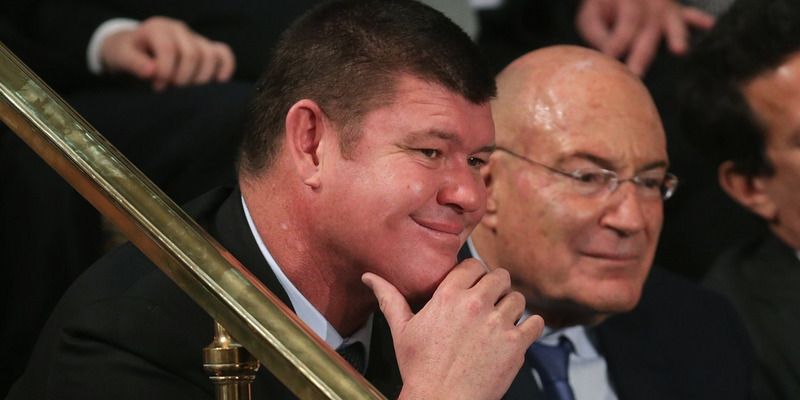 Case 1000 deals with Netanyahu’s relationship with Australian billionaire James Packer and Hollywood producer Arnon Milchan. The case claims the two allegedly granted Netanyahu various gifts over a number of years. Police allege that between 2007 and 2016, the Prime Minister and his family received various gifts, including cigars, champagne, and jewellery. The value of the gifts, allegedly from the two businessmen and their representatives, amount to approximately $US282,000. Police allege Melchan provided the Netanyahu family with goods worth approximately $US212,000 over the course of several years, and that Packer allegedly provided goods worth about $US70,00 from 2014. Netanyahu is suspected of giving Milchan significant tax exemptions as a returning resident of Israel, and it has also been claimed he helped appeal for Milchan’s visa extension in the US after experiencing difficulty with US officials. The report also alleges Netanyahu directly promoted Milchan to shareholder of one of the country’s largest TV networks. “It goes without saying that a relationship in which a public servant or public official receives benefits from a person, while using his power and influence in order to promote the interests of that person, is prohibited by law,” the report outlined. The report did not allege any benefits given to Packer by Netanyahu. Case 2000 deals with the close relationship between Netanyahu and Israeli media mogul Arnon Mozes. According to the report, Netanyahu and Mozes met several times over the last decade, and allegedly discussed using each other as “barter” to promote each of their agendas. 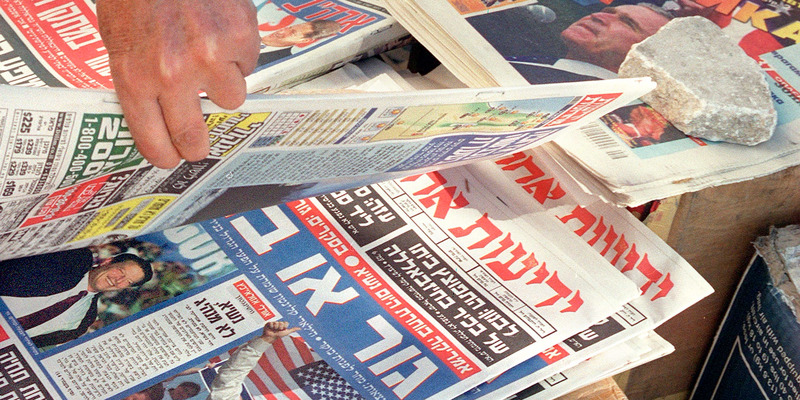 Netanyahu reportedly did little to stop a bill advancing in Israel’s parliament that limited the circulation and power of one of Israel’s top newspapers, Israel Hayom, as part of a deal with Mozes, who publishes rival newspaper Yediot Aharonot. Mozes allegedly offered more favourable coverage to Netanyahu’s camp in exchange. For this case, Israeli police also recommended bribery charges against Mozes. Following the police recommendations, Israel’s Attorney General will decide whether to indict Netanyahu.